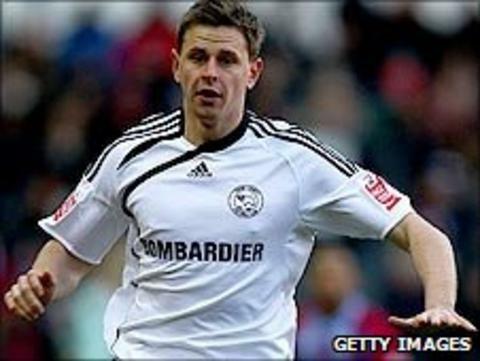 Out-of-contract Derby County striker Chris Porter has not been offered a new deal to stay at Pride Park next season. Porter, 27, became manager Nigel Clough's first signing when he moved to Pride Park from Scottish Premier League side Motherwell in 2009. But he struggled with injuries in his two-and-a-half-year stint, starting just 25 games and making a further 25 appearances from the bench. The Rams have also released winger Greg Mills and Arnaud Mendy. But goalkeepers Saul Deeney and Ross Atkins will be offered new contracts while the option has also been taken up on James Severn's contract to remain with the club for a further year.